Clara specializes in Tap, Modern Theatre and Classical Ballet. 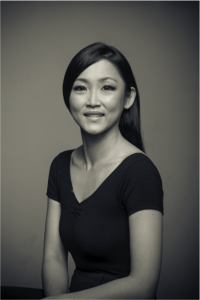 Having picked up the top award for precision in tap dance at the 2002 Hawaii International Dance Festival, Clara currently holds the ISTD Licentiate Tap and Associate Diploma Modern Theatre certificates and is a fulltime dance instructor at Dancesteps Studio. Clara has performed with the Sayang Dancers in “Dance Hysteria” and “Broadway Babies”, and also worked in several stage and television productions with the company. In 2005, she became one of the lead dancers in the Philharmonic Society of Selangor’s “In The Mood” and in Shirena Hamzah’s “Fosse’s World” staged at the MyDance Festival at the KLPAC. Clara has also been actively involved in choreographing for Short + Sweet Dance Festivals which is held at the Kuala Lumpur Performing Arts Centre every year. Her collaborations with Shirena Hamzah have all won top awards, which include Directors Award for Best Up-and-coming Dancer and Audience Choice Award in 2010 for “Dancing Man”, Best Female Dancer, Audience Choice Award and Best Glitz & Glamour in 2011 for “IHeartMJ”, Best Supporting Female Dancer, Best Youth Award – Male, Audience Choice Award and Best Glitz & Glamour in 2012 for “The Silverscreen”, and Best Supporting Female Dancer, Audience Choice Award and Best Glitz & Glamour in 2014 for “Snap, Shuffle & Pop”. Clara was also given the Mercedez Benz Creative Excellence Award, recognizing her and co-choreographer Shirena Hamzah for their contribution to Dance in the country in 2014.